Sometimes, our clients require more than help with just their health. Often, people require assistance with day to day tasks including companionship, meal preparation, housekeeping, and personal care. Regardless of what our clients require, we’re sure to do our best to give them the help that they need. All of our home health care aides are trained to assist our clients with these day-to-day tasks. If you or a loved one is in need of such services, be sure to browse our nurse aid care page and contact Wilson Care today! 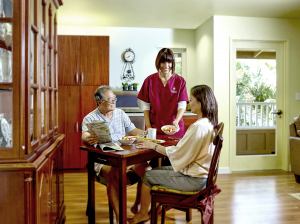 Our home health care team in Honolulu also consists of several skilled nurses who are qualified to assist clients with medical services including pain management, injection, IV therapy, and medication administration. 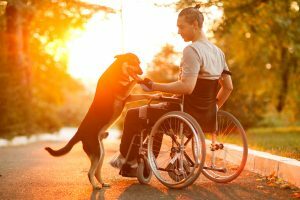 Sometimes, it’s difficult to administer these services to a loved on your own, and the best route is to contact a skilled nurse who is capable of such tasks. Wilson Care’s employees are more than just qualified; they’re passionate. Be sure to visit our skilled nursing care page to learn more. It’s not uncommon that those who request home health care are taking prescription or over-the-counter medication. Unfortunately, as the medications pile up, the confusion surrounding which medications to take on which days also piles up. Don’t let yourself feel stressed out about medications, as Wilson Care offers medication service as part of our home health care program. An aide will help you or your loved one organize medications in an easy and comprehensive way. You’ll know exactly what medications to take on which day. Please visit our medication services page to learn all about this! Quite often, our clients need to go to appointments and have no way of getting there. Wilson Care offers transportation services to our homecare clients. If our clients own a car, then our employees will happily drive them to their destination without an additional charge. Conversely, if our client doesn’t have access to a vehicle, they can request to use one of our vehicles at an additional charge. Don’t worry about missing appointments and other important occasions. Learn more about how we could drive you to whatever destination you desire on our transportation services page! We know the importance of receiving home health care that goes above and beyond the norm. Wilson Care in Hawaii works hard to make sure that all of our clients are receiving the attention and care that they deserve. If you have questions about our services, please visit our FAQs page or give us a call!